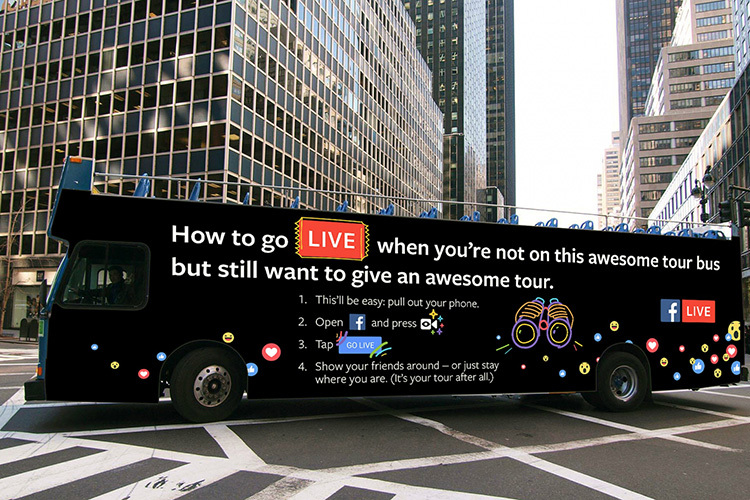 Facebook recently rolled out a TV and out-of-home ad campaign for Facebook Live, the social network’s live streaming offering. There’s no doubt that video — and live video in particular — is a priority for the company. While the new ads are focused on making users comfortable with the simplicity of streaming video, businesses looking to leverage Facebook Live opportunities will have to find their own comfort level with streaming video. One reason to consider Facebook Live is visibility. There will inevitably be a cost to promoting Live Streams in the future. But while Facebook works hard to promote user-adoption, organic notifications are highly visible in user newsfeeds. For brands who built built big followings on Facebook, only to see the news feed algorithm decimate organic views, Facebook Live can be an opportunity to get some fresh traction. You can simply stick your iPhone on an inexpensive tripod with a mobile-device mount. Facebook has been rolling out desktop too, if you’d rather point your laptop. Waving your phone around freehand? Not really recommended, unless you’re looking at something that’s too good not to share, and have no other options. This brings us to the big challenge for business Live streamers. What, exactly, makes for a good Live stream? Conversational content is a good place to start. You can find great cooking demos on Instagram, YouTube and elsewhere by media brands like Tastemade. What Live streaming adds to the party is the chance to answer questions in real time. That’s the “social” part of social media. 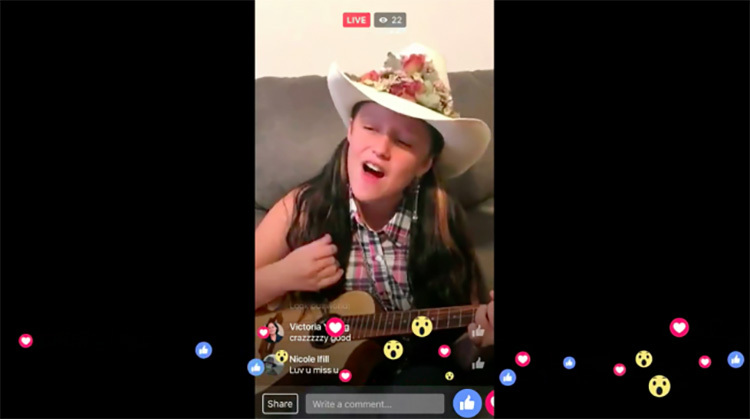 Facebook claims that Live videos can draw ten times the number of comments that regular videos prompt. If you’re comfortable reacting to user comments in real time, stream a product demo and be prepared to go off-script. Not that you should be scripting streaming chats. That’s a spontaneity killer, though preparation should include establishing your talking points and being familiar with them (can can give Facebook Live a trial run by setting the audience to “only you” and starting a stream). Another popular YouTube staple is the make-up tutorial, with social influencers often promoting sponsored products. Benefit Cosmetics is giving the genre a streaming spin, answering real-time questions from their fans and followers on Facebook Live. Endurance sports event company Tough Mudder posts streamed events, and opportunities to workout alongside a suitably tough coach. Another streamer in the sports space, Callaway Golf, do their own Live broadcasts as part of a comprehensive media mix that includes everything from 360 degree graphics to podcasts. Other brands using Live include Landrover test driving a new Range Rover model, and British fashion retailer Asos. Not sure if streaming is for you? Ask yourself if you have a product to demo, one that provokes a lot of customer questions, or are you simply selling something as visually interesting as people testing their endurance skills on muddy obstacle courses? Conversely, don’t stream just for the sake of streaming. Focus on creating something of value for your existing followers. What happens when the streaming stops? Live streams are automatically archived, providing you with content you can share later. Shooting videos conventionally obviously gives more control over the end product. But there’s “anything can happen” aspect to live experiences that’s worth experimenting with. It was the hook Saturday Night Live launched with, and remains a media draw even in an era where people typically consume media on their own schedules. Whether or not you’re considering live streaming, we’re going to be seeing more of it, on Facebook and elsewhere. 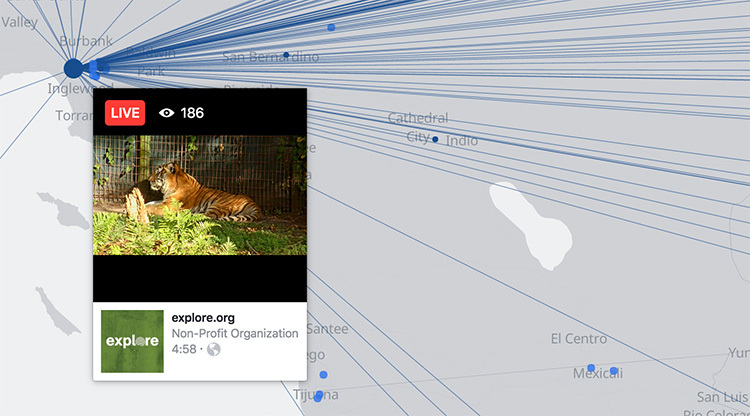 Check out their Live Map to see what’s happening in real time. You’ll see plenty of local and national news outlets, like CNN and the Huffington Post, alongside sports teams, bedroom DJs, ranting oddballs and (when we took a look for the sake of this article) at least one live-streamed tiger. The audiences may be small for now, but that makes it the perfect time to get comfortable with streaming. It’s not quite “dance like no one’s watching” territory, but it’s a great time to develop your live streaming chops. Looking to expand your brand’s social media reach? Give Kiosk a call.